During a 10-day tour of India, Farryn Truen sketched out an ambitious itinerary to visit Delhi, Jaipur, Ranthambore National Park, Alwar and Agra that included a big-ticket item: She and her now-husband, Jake, hired a private driver for their trip. Paying for that meant forgoing activities — there was no hot air balloon ride in Jaipur — and downgrading to budget-friendly hotels for part of the trip. But it’s the go-to travel splurge for Truen, 33, a New York-based brand consultant and frequent traveller: a way to see more of the place she is visiting at her own pace, make local connections and avoid all the wasted time spent travelling to, from and in airports. 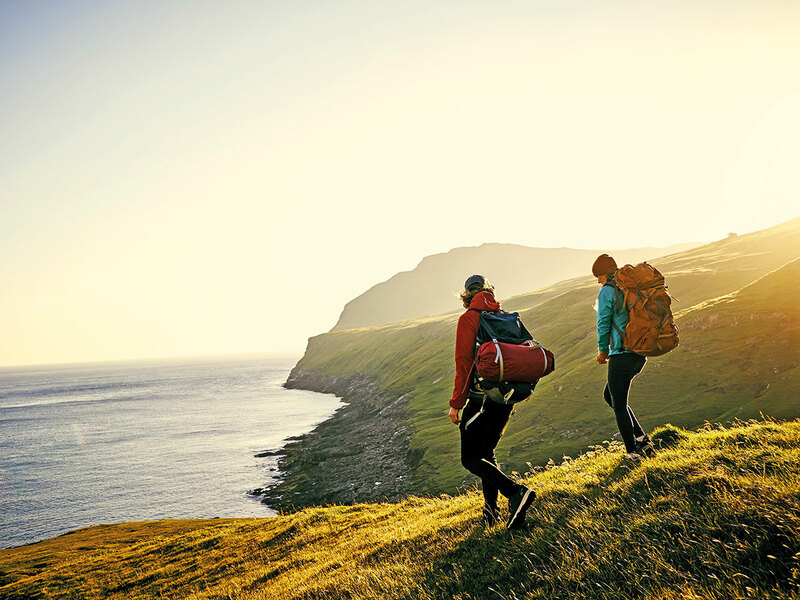 Among seasoned travellers, selective splurging — picking the one thing they’ll spend big on, while saving everywhere else — is a common strategy for getting the most out of a trip. The additional spend doesn’t have to be sizeable; it can be several thousand on a nice hotel room — or a hundred dollars or less on a local experience. It’s about mindfully choosing to allocate a little extra on one part of the trip to make it easier, more memorable or more engaging. The indulgences can be directed at any step of the adventure: hotel, excursions, a particularly unforgettable meal. For some, practical upgrades — a non-stop flight, a nicer rental car — make all the difference. Chris Jackson, a London-based photographer for Getty Images, recommends a good pair of noise-cancelling headphones. “They make a massive difference,” Jackson said of his Bose Quietcomfort 35 II pair (Dh1,285 or $349.95). He often doesn’t even play music on them, preferring to just drown out other passengers. Elaine Welteroth, an author and the former editor-in-chief of Teen Vogue, always hunts for a fabulous vintage souvenir. The 32-year-old’s closet is home to a few 40s-style dresses from a shop in Amsterdam that cost about $60 apiece and a Calvin Klein Collection faux fur coat that she “spent way too much on” in New Orleans. “Every item is totally unique to that place and time in my life,” she said. In the United States, spending on travel, which includes transportation, lodging and tourist attractions, was expected to reach an estimated $580 billion in 2018, an increase of 23 per cent from 2013, according to market research firm Euromonitor International. Travellers tend to splurge most on where they are headed: More than 8 in 10 respondents in the 2017 US Family Travel Survey said they would splurge on the destination. The study, conducted by the Family Travel Association and the Tisch Centre for Hospitality at New York University’s School of Professional Studies, surveyed 1,599 people, each representing one family. Roughly 6 in 10 will splurge on accommodations and meals out. Ashley Muir Bruhn, who lives in Davis, California, recommends paying extra for a direct flight. 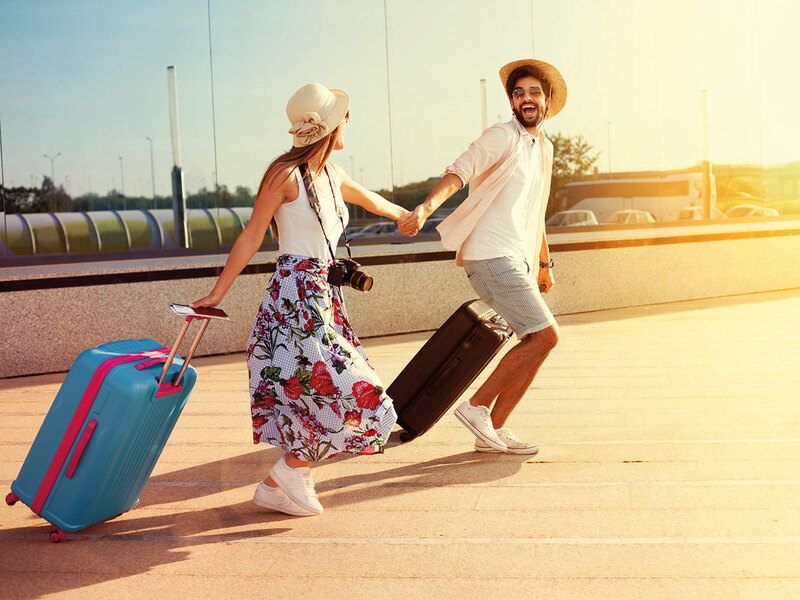 The mother of two and author of the blog Hither & Thither argues that whatever money you save on connecting flights is negated by the added risks. Missing your next flight or losing your bags is a terrific way to ruin a trip. Two shorter legs could mean less in-flight service, and how much more would you pay for those extra hours at the pool where you are headed? Plus, there is the mental toll, especially with children (hers are ages 5 and 7). By booking connecting flights, “you’ve made your whole travel time — the not-fun part — so much longer,” Muir Bruhn, 40, said. Her family takes two to three major trips a year and will go out of their way to get a direct flight. Instead of flying out of Sacramento, the closest airport, she will travel to Oakland or even San Francisco in order to fly non-stop. Patrick Janelle, whose food-and-travel-focused Instagram account @aguynamedpatrick boasts 439,000 followers, splurges on upgrading his rental car. “With just a little extra spending, you can make a really significant part of your travel that much more comfortable,” he said. Janelle, a 37-year-old New Yorker, once rented a Volvo SUV in Los Angeles via Sixt Rent, a German-based company that offers upmarket cars. It was about $360 for four days, Janelle says, and he planned his day around conference calls on the go. Lodging is a much more common splurge, whether on a carefully situated (and decorated) AirBnb or a four-star hotel. She researches heavily before booking, reading reviews everywhere she can find them and making sure the accommodations are known for their high-touch service. Her stays have ranged from a room with a sea view at the Sofitel Bahrain that won’t break the bank (up to $320 a night, according to the hotel) to the Zen grand experience at the all-inclusive Grand Velas Riviera Maya in Mexico (starting at $434 per person based on double occupancy, according to the hotel). Ojo remembers her stay at the Taj Exotica in the Maldives, in a deluxe lagoon over-water villa (from $1,109 to $1,725 a night, double occupancy, according to the hotel), particularly fondly: “You didn’t even want to leave your room it was just so special,” Ojo said. Hotel splurging is not limited to cash. Journalist Dan Frommer, 36, founder of the travel rewards newsletter Points Party, will go out of his way on a work trip to earn enough Hyatt points for a later luxury stay on vacation. On a work trip to San Francisco last year, he stayed in a Hyatt to get the points, even though it was in Emeryville, on the other side of the Bay and required an extensive bus ride each morning. “When you are on the other side of the world, when your sleep schedule is messed up, it’s really nice to come back to a large, well-designed, well-appointed room with a beautiful view,” Frommer said. His strategy is to splurge for three nights. One night goes by too quickly; two is adequate, giving you one whole day to “spread your stuff out,” Frommer said. But three feels like a real indulgence and enough time to enjoy all the hotel has to offer.